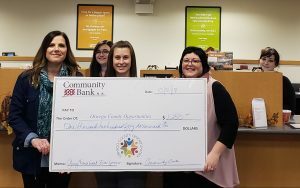 Pictured with Bridget Dolbear (left) from left are teller Jacquie Clark, retail branch manager Brandy Flippo, assistant vice president Tina Stephens, and teller Danaia Terramiggi. 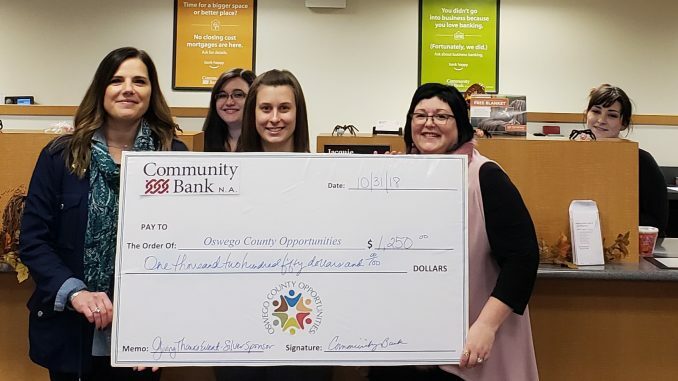 The campaign, which kicked-off on November 2 at OCO’s annual “Giving Thanks” event, will help fund a variety of services that feed, clothe and house families in need. Community Bank served as one of the event’s Silver Level Sponsors.